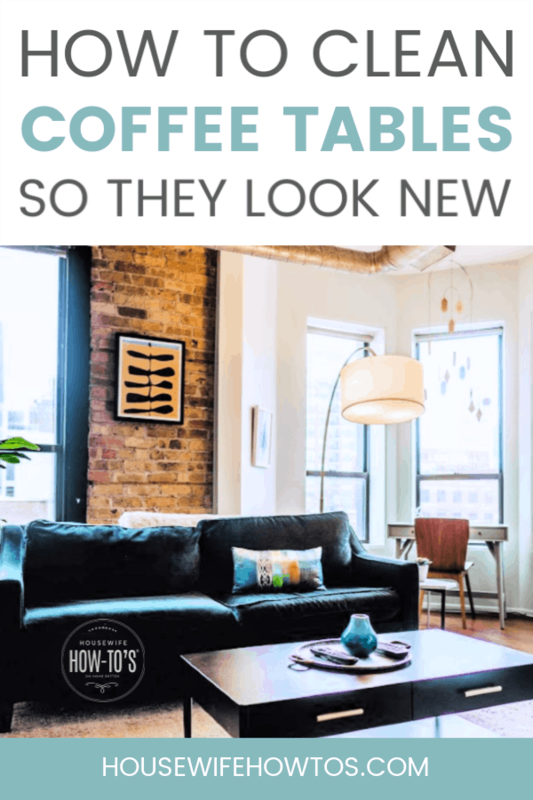 Knowing how to clean coffee tables can make your living or family room look tidy and welcoming, even when you haven’t had time to do a more thorough room cleaning. Whether you’re trying to remove water rings, fill scratches on wood coffee tables, or give your metal or glass coffee table a brilliant shine, you’ll find help below. Properly cared for, a wood coffee table can last for years. It’s easy to update as your decorating tastes change, too. 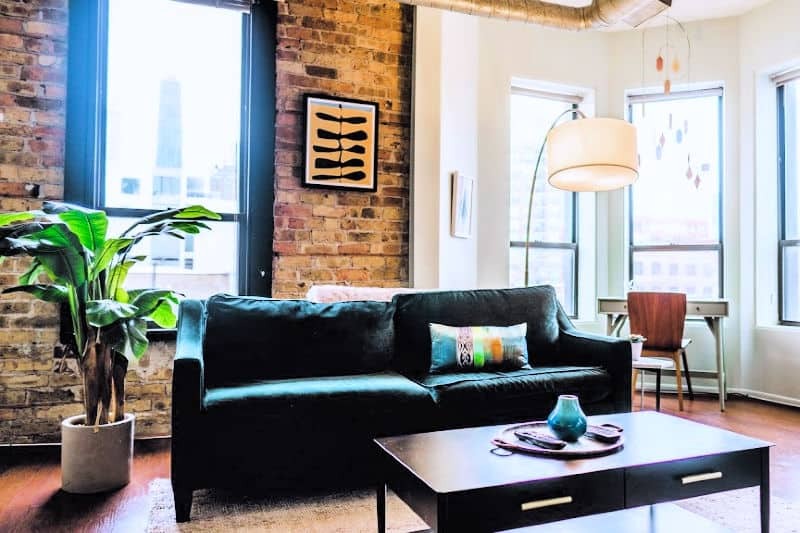 Swap the legs, change out the hardware, or add a lick of paint — it’s such a good investment, but you need to know how to clean wood coffee tables to get your money’s worth. Finding white rings on your finished wood coffee table is a sign that someone hasn’t been using coasters beneath drinking glasses or coffee cups. If you don’t have coasters, get some. They’re not just for grandmas: coasters keep condensation on glasses from seeping into the surface of your coffee table. 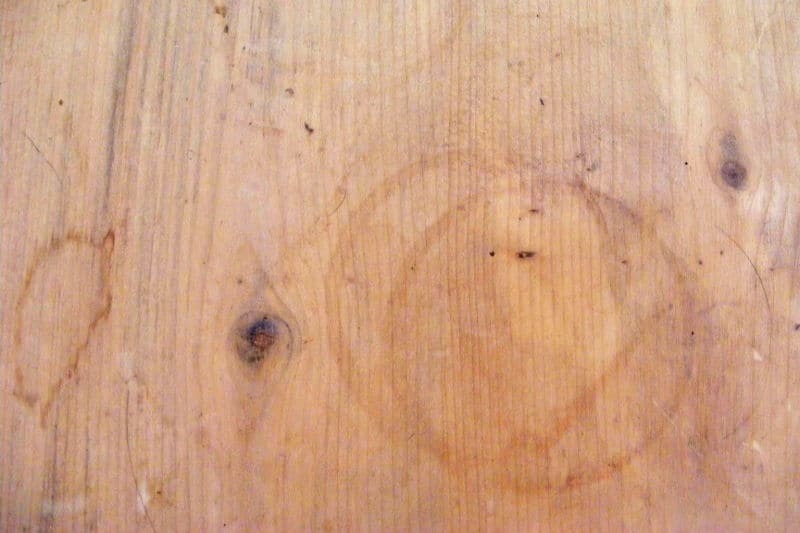 White rings are moisture trapped between the finish and the wood surface. Sometimes, these will go away on their own, but if you’ve been frowning at the same spot for more than a week, it’s time to try one or more of the following methods. 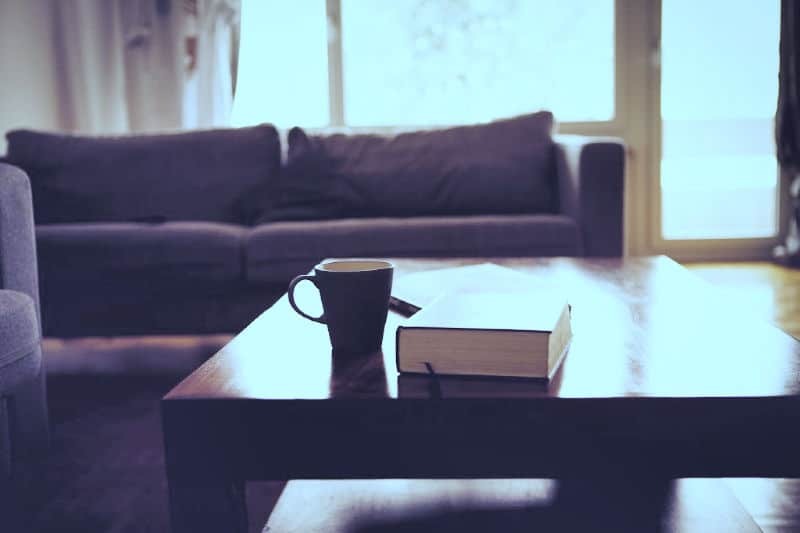 Using heat can often quickly dry the trapped moisture and eliminate the white water spot on coffee tables. So, grab your hair dryer and, using the lowest setting, aim the blast at the ring. Keep the dryer moving so you aren’t overheating the area. After a minute or two, turn the dryer off and let the spot cool. If the ring remains, try the next step. Using oil can help eliminate stubborn white water rings on wood coffee tables if they’re finished. Try rubbing in a generous dollop of full-fat mayonnaise or petroleum jelly on the spot. If the ring doesn’t disappear immediately, add more and wait an hour or two before wiping it away with a clean cloth. Using commercial water ring remover wipes may help when natural methods have failed. Be sure to follow the manufacturer’s instructions. To remove water rings from unfinished wood coffee tables, make a paste of 1 tablespoon baking soda and a few drops of water. Rub this mixture into the wood following the grain then wipe it away with a clean cloth. Follow with a 1-minute blast from your hair dryer using the lowest setting to ensure the area is fully dry. Shallow, superficial scratches on wood furniture often disappear when you use a moisturizing polish. This all-natural, homemade furniture polish recipe helps treat minor scratches while leaving your wood gleaming and clean. Deeper scratches in wood coffee tables (the kind you can feel with your fingers) need to be filled and then sealed. Here are some easy ways to fix scratches on wood furniture using items you have around the home. If someone used a paper towel as a coaster, or sat a magazine or newspaper on a damp spot on your coffee table, you’re likely to find paper and ink stuck to the wood. Fortunately, it’s not too difficult to fix this problem. Peel away as much of the paper as you can. Dampen the corner of a clean cloth with olive or baby oil and rub it into the spot. Wait 2-3 minutes then gently scrape away the residue with the side of a credit card or edge of a rubber spatula. Wipe the area with rubbing (isopropyl) alcohol to remove ink stains. Alternatively, Goo Gone can help. Find it at hardware and big box storse. Follow the instructions on the bottle. Once you’ve treated water stains and scratches on your wood coffee table, clean it using a microfiber cloth and mild soapy water. Be sure to wring out the cloth well, so the water doesn’t seep into your coffee table’s surface. Follow with a dry, lint-free cloth. If your table still feels sticky, check out these ways to remove waxy buildup from wood furniture. To add a natural shine and moisturize the wood, follow with homemade furniture polish. Unlike commercial products that contain silicone, DIY furniture polish won’t contribute to clouding or attract dust. Cleaning most metal coffee tables is pretty straight-forward. If yours is particularly dirty, or if there are rust spots on it, you may want to do this outside. If that’s not an option, position a thick, old towel beneath the table to protect your floor. Run your hands along the surface. 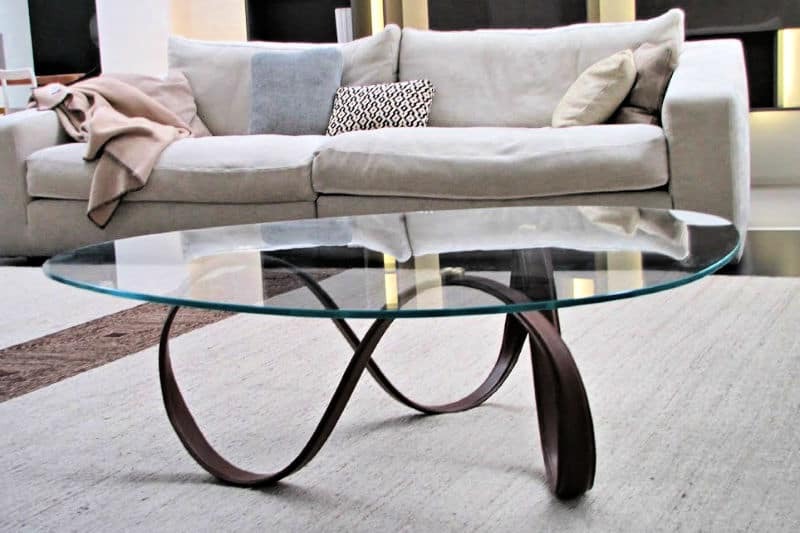 If it’s as smooth as glass, your metal coffee table is probably lacquered and can be cleaned using the steps below. Use a damp microfiber cloth and warm water with a dash of gentle dish soap. Dip an old toothbrush into the soapy water to clean grooves and crevices, as well as any sticky spots. Wipe with a fresh cloth dipped into clean water and wrung out well, then dry with another lint-free cloth. Treat small rust spots on chrome coffee tables by rubbing a damp ball of crumpled aluminum foil on the rusty areas. The reaction between the water, foil, and rust creates aluminum oxide which polishes the chrome. 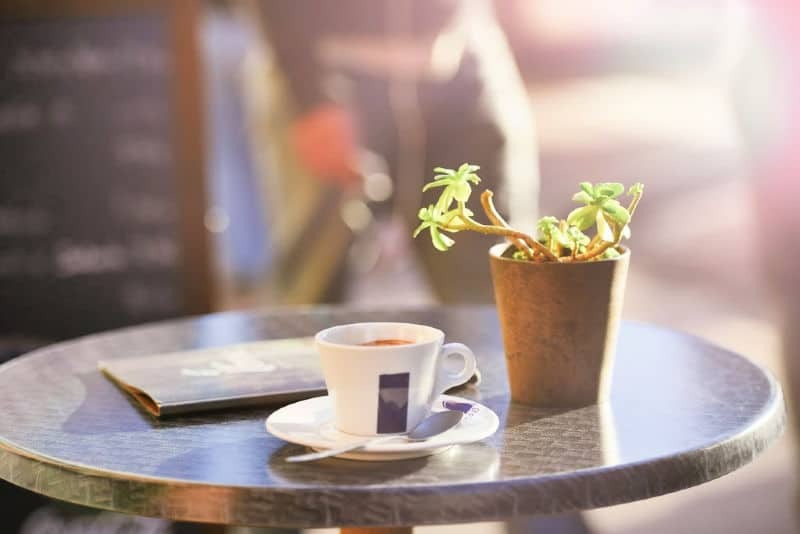 Like your kitchen appliances, stainless steel coffee tables are fairly easy to clean. Use the process above for lacquered metal to remove grime and most smudges. To get fingerprints off of stainless steel coffee tables and give them a nice shine, rub them with a cloth dipped in olive or baby oil then buff dry with a fresh, lint-free cloth. If the surface is in good shape, give the table a quick once-over with a dry cloth to remove dust then a wipe it with a damp microfiber cloth. Dip the cloth into mild, soapy water to treat sticky spots, and use an old toothbrush to clean crevices. Wipe with a clean, damp rag then a dry one. If the paint is flaking or wearing away, you’ll want to take the table outside on a sunny day. Then, using a stiff-bristled brush, scrub until the flakes are gone. Wash the table with soap and water, rinse, and let it air dry. Use a spray primer for metal to cover the cleaned areas then repaint. Glass coffee tables could not be easier to clean. Treat any non-glass materials using the steps above. 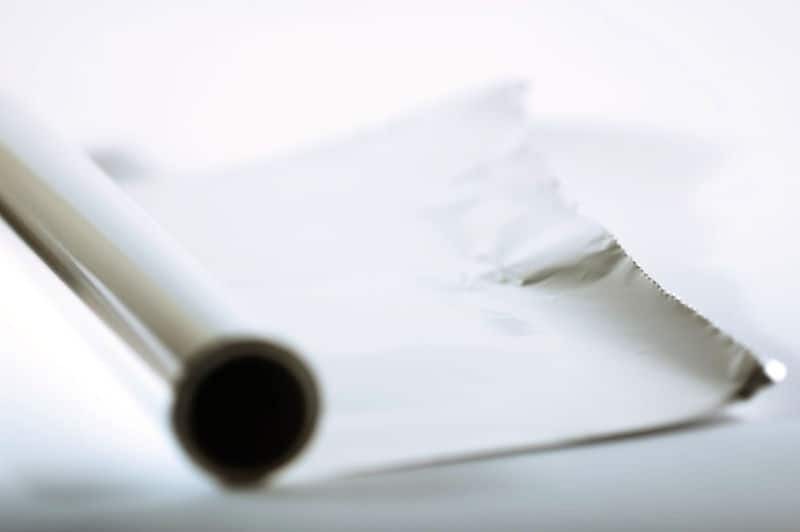 Wipe the glass with a lightly damp microfiber cloth and buff dry with a lint-free cloth or old newspaper. Or, if you prefer, use this homemade glass cleaner and a dry microfiber cloth. A decorative tray keep frequently-used items like TV remotes from looking like clutter. Add felt pads to the bottom of trays and other objects you display on your coffee table to prevent scratches. Tidy your coffee table and give it a quick wipe as part of your daily cleaning routine. This regular attention lets you deal with water rings and stuck-on paper before they become a permanent problem.